Heat pumps regulate temperature and transfer heat from and to the residential area. Our heat pumping devices will keep you warm even through the coldest nights. Since heat pumps only transfer thermal energy instead of generating it, they do not require any extra potential energy. Heat pumps typically last over 15 years, which makes them 5 times more durable than regular furnace heaters. Most heat pumping systems only work for a certain range of temperature. Our units, however, deliver power and efficiency all year round. A heat pump is essentially a lower-budget option than a centralized gas heating system. But that doesn’t mean that it is in any way of lower quality. Heat pumps use the natural process of heat dissipation and reverse it to keep the indoors cool. 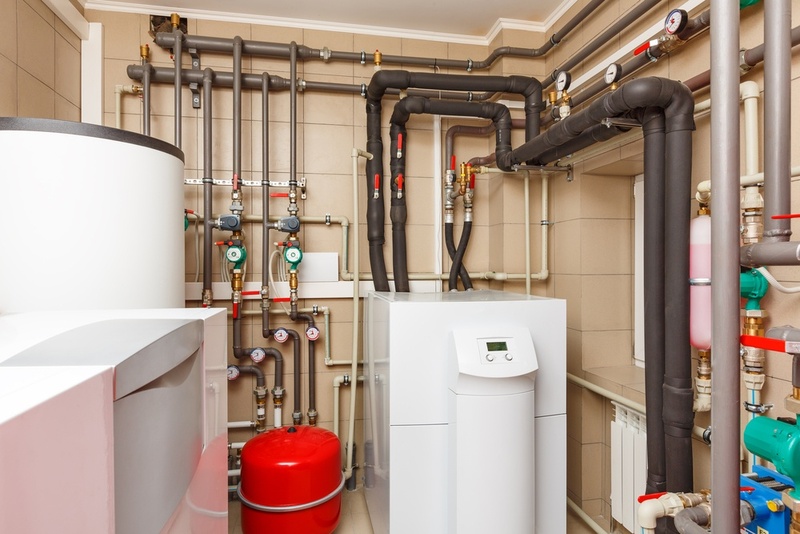 NY Engineers provide some of the beloved and sought-after heating solutions. All of our units are graded by a professional, installed by experienced workers and laborers, and protected by a consumer-manufacturer pact which ensures warranty and customer satisfaction. Our HVAC department fine tunes their designs and models to meet the client’s needs. Your offices, hospitals, houses, and buildings will remain centrally heated through our heating solutions. Firstly, our expert MEP engineers work to fashion the best models for you. 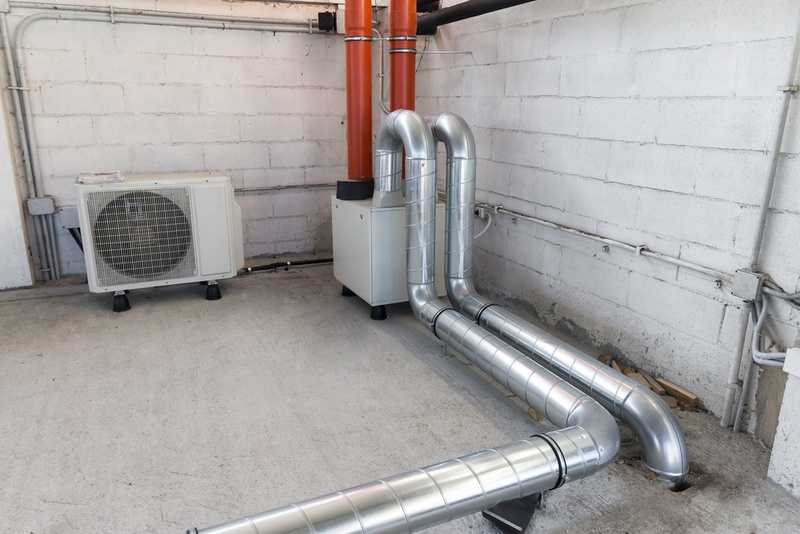 Heat pumps are very complicated projects and require careful understanding of thermo-physics, heat regulation, indoor dynamics, home duct systems, and the main principles behind heating electronics. Which is why our MEP engineers make use of carefully planned blueprints, energy diagrams and charts, duct plans, and of course, patents for the main pump models. Once the blueprints are created, they are authorized by a head engineer who specializes in MEP, HVAC, and HRC. This is where administrator control comes in. Any minor mistakes or flaws and thermal anomalies in the plans are rejected. Finally, our HVAC department rechecks the entire plan so that it matches the client’s requirements. Anything which our heads don’t feel fits is immediately rejected. But above all that, NY Engineers holds true to the concept that there is no one higher on the hierarchy than the clients themselves. Any and all rejected plans are either corrected or completely abandoned. Heat pumps are generally of two types: reversible and irreversible. Reversible variants work in both directions to keep both the heat and the cold-regulated. These are more effective throughout the whole year. Reversible heat pumps basically conduct heat from the outdoors to the indoors in winters. And when summer strikes, these pumps convect heat out from inside the building, keeping the inside cool. These pumps are essentially better than irreversible ones, as they not only reduce costs but also diminish the need for two separate cooling and heating systems. An irreversible heat pump costs less but has no effect in the summer. Because of the way they’re designed, one-way heat pumps don’t work in the summers. So while they keep you warm through the winter, they neither overheat you nor cool you during the hot season. These pumps are better for those on a tight budget. They facilitate lesser energy wastage than a centralized heater. But in the end, you’ll have to install a separate cooling system for the summers. We at NY Engineers specialize in both types of heat pumps. Our trained technicians will install both the systems plus the ducts in no time flat. Installation may cost extra, and if there is no venting/duct system installed, then installing one would add to the final bill. But rest assured, our offers remain affordable. We don’t know about all the other companies in the know-how, but NY Engineers believes that customer service should be our biggest priority. For us, customer service means customer satisfaction through extraordinary product quality and call center hospitality. We mass produce and provide only the most approved and heavily analyzed heat pumps, send them for quality checking, get all our blueprints certified by our professionals and HVAC specialists, and deliver the final plans to your very mailbox. Our delivery is exceptionally fast because we understand that the bigger projects can’t wait. More uniformly distributed heat which is radiated, not convected, to every corner of the building. Little to no use of fuel or gas, since the heat is transferred and not generated. Electrical components are highly efficient and faster than gas or charcoal furnaces. Ducts dissipate heat faster than a regular central heater. Lower monthly costs. Reduces the need for charcoal, gas, electricity, and liquid petroleum gas. If you install a reversible heat pump, you get a pump which doubles as a centralized air conditioner in the summers, reducing the costs of both a heater and a cooler. Lower prices for both planning and installation. This is where most over-the-counter companies err in providing customer satisfaction. 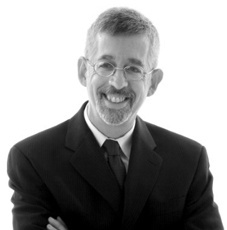 You get your very own building and heating designs made by some of the best and most credible engineers in New York, particularly those with over 10 years of experience. Little to no interest or profit, and fair wages to our laborers. So you know that your orders aren’t fuelling slavery. More durable pumps which last over 20 years, as opposed to the meager 15 years provided by other companies. High-functioning techniques and strategies to reduce maintenance costs and enhance heat output. Reversible heat pumps which have your back for every season. Our engineers and technicians at NY Engineers have put together their best efforts for quality management. Getting a heat pump installed by our experts should be your highest priority. I just want to tell you how highly I think of Jahnavi. She was in a meeting today with the client and commanded the room, was totally informed, and very helpful in moving the process forward to conclusion.